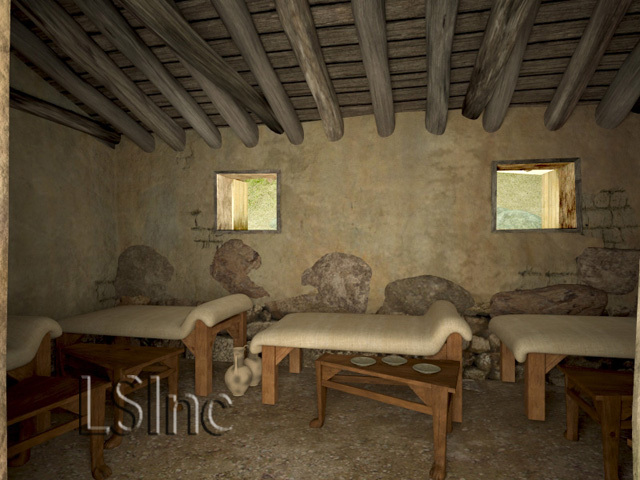 Our educational products and services for grade schools, high schools, and colleges use the most up-to-date archaeological evidence and the most accurate 3D models, coupled with extensive embedded linked background textual and visual information. 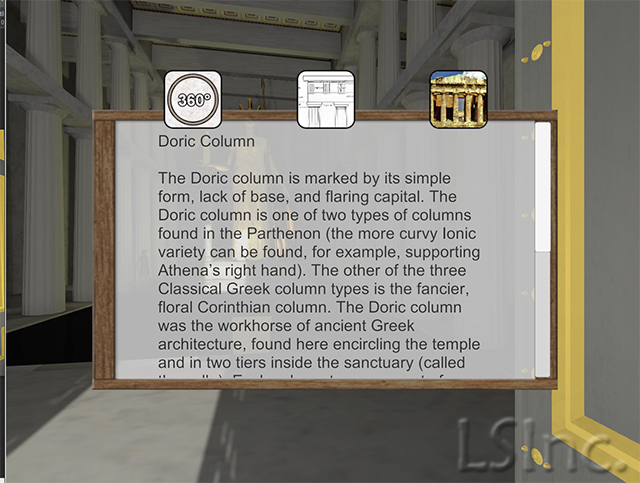 LEARNING SITES works with your teachers to create instructional materials that are tailored to your specific curriculum objectives and state-mandated guidelines (at left a sample image from the virtual Parthenon experience showing an informational panel; hover over to enlarge). 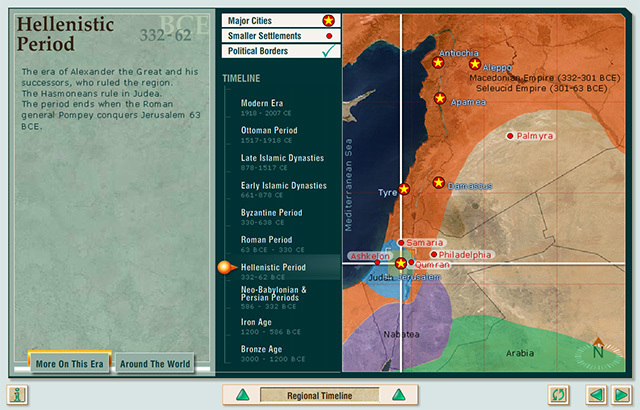 For example, your competency goals for ancient or world history, geography, world cultures, or STEM can be integrated into the problem-solving tasks hyperlinked inside our virtual worlds. Complete instructional packages will be organized with your input regarding lesson plans, guidebooks, and adjunct materials. You and your students will be able to approach and explore the ancient site and its objects, move around them, and get a near firsthand experience of the site. The links and informational clues scattered throughout the virtual environment will provide you and your students with an interactive and exciting educational experience. 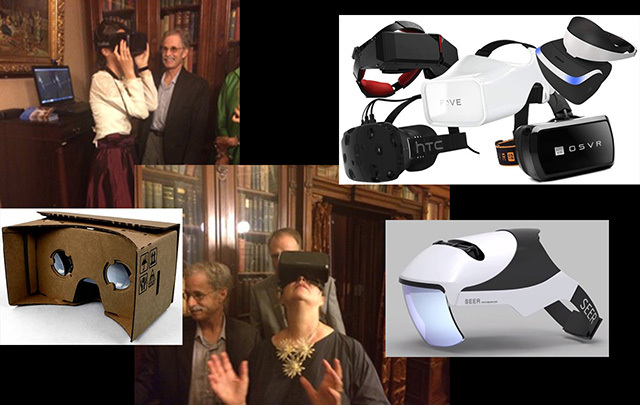 LEARNING SITES works with your Media Center to monitor computer hardware and software installations relating to your use of virtual reality (or other digital media needs; sample virtual reality headsets at the left; hover over the image to enlarge). For example, we will verify that your school's computer system meets the minimum requirements needed to run our software most effectively and has the required supplemental software, if needed. We can work with your system administrator to assist in the configuration of the equipment. Our animations, renderings, and virtual worlds can also be used to provide images and links to supplement your institution's Web and social media presence. 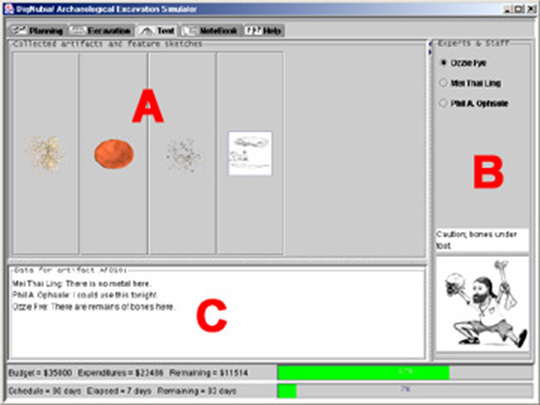 LEARNING SITES works with your Administrators to assist with teacher training (sample instruction for virtual reality headsets, at the left; hover over the image to enlarge). 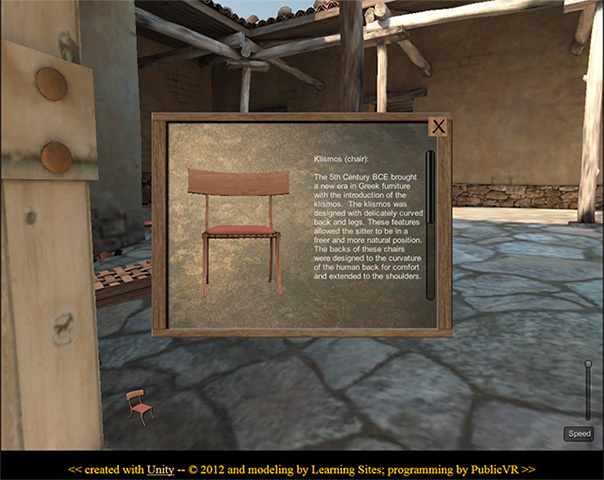 For example, workshops can be arranged to train members of the school system how to effectively use virtual reality-based tools in the classroom; focus groups can be formed to explore ways to utilize the new technology in specific courses or series of related courses; and outreach seminars can be arranged to ensure parent and community support for your application of new digital technologies. 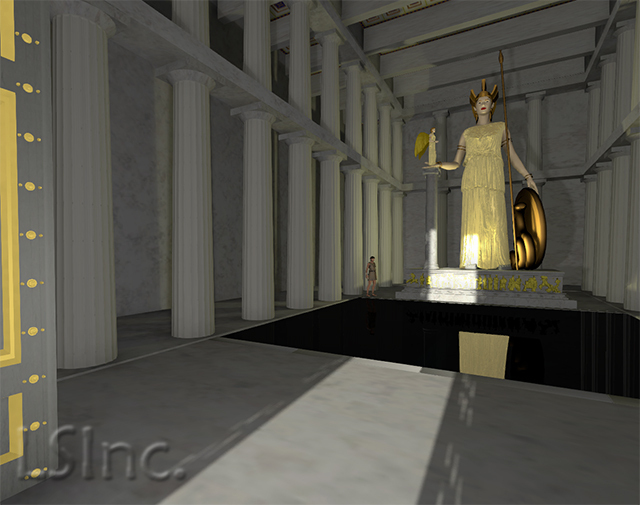 The Parthenon virtual world with embedded text and graphical information about ancient Greece and the architecture of the building. 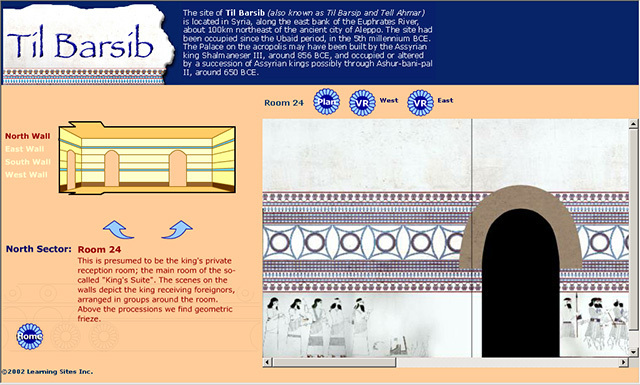 The Til Barsip educational package developed for s private school in New York City. 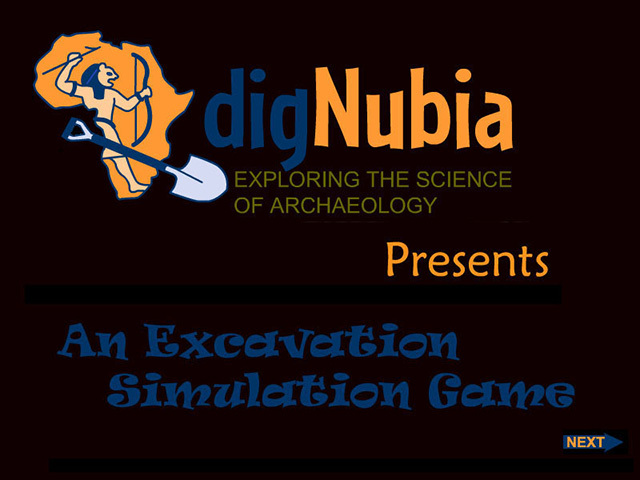 The DigNubia (online Java-based) excavation simulation game created for the Educational Development Center. 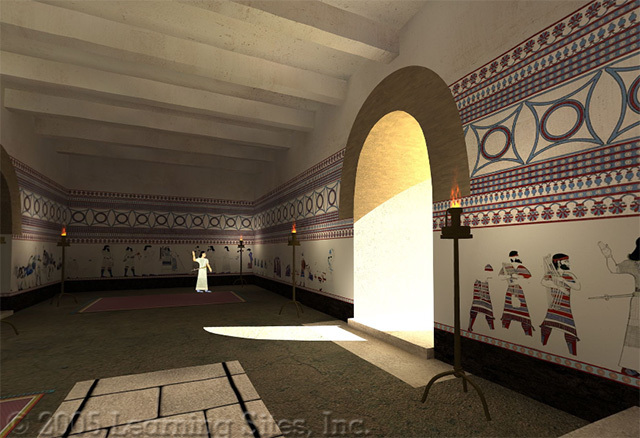 The award-winning Vari House (Greece) virtual world; one of the first VRML-based educational packages, part of the expanded Ancient Greece: Town and Country educational package, and recently a detailed Unity-based virtual environment with embedded linked datasets. 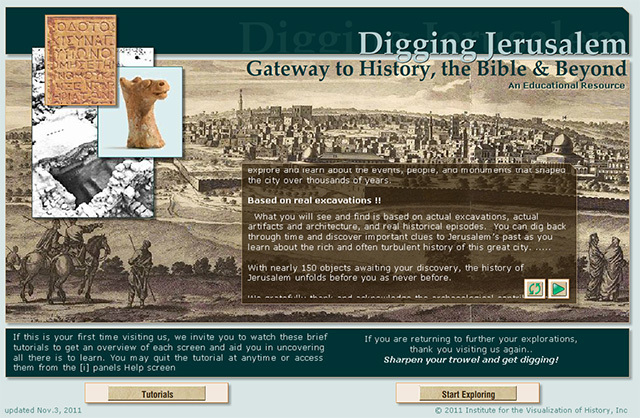 The Digging Jerusalem: gateway to history, the Bible, and beyond online educational module co-developed with our sister company, the Institute for the Visualization of History, with several different interactive screens and an interactive excavation simulation based on an actual trench in the City of David. These are only a few of the possibilities afforded by a LEARNING SITES approach to education. None of our interactive tools or visualizations has to stand alone; each application can be built to complement another's, providing an integrated solution to learning and outreach. Let us know how interactive digital technologies might benefit your institution. Contact us and become part of the growing LEARNING SITES global, online, bi-directional archaeological research and education network.